Start off your visit on the 27th (Sat): tour the pleasant surroundings at Riverfront Park, then admire the landmark architecture of William J. Clinton Presidential Library, then examine the collection at Esse Purse Museum, and finally take an in-depth tour of Little Rock Central High School. To find ratings, more things to do, photos, and tourist information, refer to the Little Rock trip itinerary maker . Memphis to Little Rock is an approximately 2.5-hour car ride. You can also take a bus. In June, daily temperatures in Little Rock can reach 88°F, while at night they dip to 70°F. You will have some time to spend on the 28th (Sun) before leaving for Grand Canyon National Park. On the 29th (Mon), tour the pleasant surroundings at Bright Angel Trail. 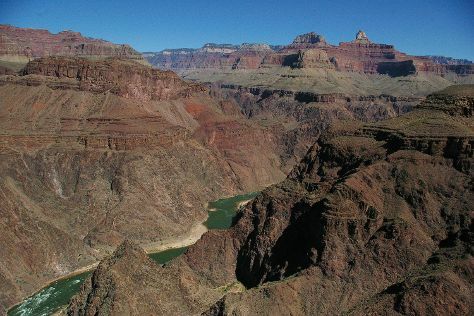 Traveling by car from Little Rock to Grand Canyon National Park takes 19 hours. The time zone changes from Central Standard Time (CST) to Mountain Standard Time (MST), which is usually a -1 hour difference. Traveling from Little Rock in June, you can expect nighttime temperatures to be cooler in Grand Canyon National Park, with lows of 42°F. Cap off your sightseeing on the 29th (Mon) early enough to travel to Las Vegas. 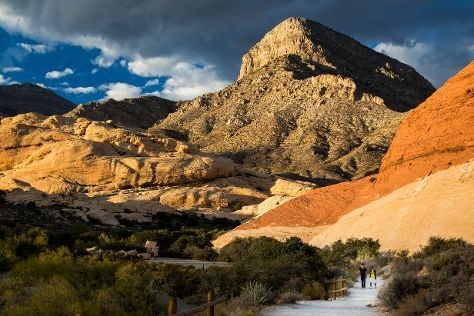 On the 30th (Tue), explore the stunning scenery at Red Rock Canyon National Conservation Area and then have fun at Battlefield Vegas. For photos, where to stay, more things to do, and more tourist information, refer to the Las Vegas online tour planner . Traveling by combination of flight and car from Grand Canyon National Park to Las Vegas takes 4.5 hours. Alternatively, you can drive; or take a shuttle. The time zone difference when traveling from Grand Canyon National Park to Las Vegas is minus 1 hour. While traveling from Grand Canyon National Park, expect somewhat warmer days and much hotter nights in Las Vegas, ranging from highs of 103°F to lows of 77°F. On the 1st (Wed), wrap the sightseeing up by early afternoon so you can travel to Los Angeles. 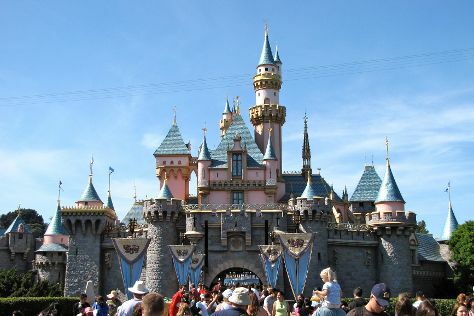 Here are some ideas for day two: make an unforgettable trip to Disneyland Park. For other places to visit, traveler tips, and more tourist information, go to the Los Angeles trip builder . Fly from Las Vegas to Los Angeles in 4 hours. Alternatively, you can drive; or take a bus. Traveling from Las Vegas in July, expect nights in Los Angeles to be a bit cooler, around 66°F, while days are much colder, around 83°F. Wrap up your sightseeing on the 3rd (Fri) early enough to travel to Seattle. On the 4th (Sat), enjoy breathtaking views from Space Needle, then explore the world behind art at Chihuly Garden and Glass, then stroll through Kerry Park, and finally take in the waterfront at Hiram M. Chittenden Locks. Get ready for a full day of sightseeing on the 5th (Sun): admire the striking features of Sky View Observatory, get the lay of the land with Walking tours, then explore and take pictures at Volunteer Park, and finally wander the streets of Pike Place Market. To find other places to visit, ratings, and tourist information, use the Seattle trip planner . Traveling by flight from Los Angeles to Seattle takes 5 hours. Alternatively, you can drive; or take a bus. Expect little chillier evenings in Seattle when traveling from Los Angeles in July, with lows around 60°F. Cap off your sightseeing on the 6th (Mon) early enough to travel to Yellowstone National Park. Explore hidden gems such as River Rafting & Tubing and Grand Loop Road. 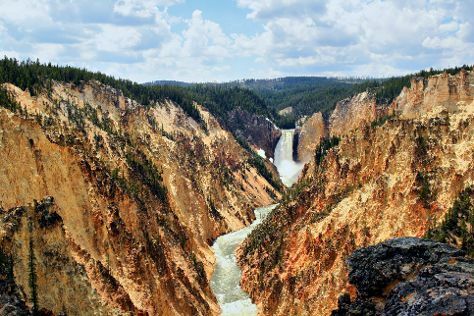 And it doesn't end there: explore the stunning scenery at Grand Canyon of the Yellowstone, witness a stunning natural landmark at Midway Geyser Basin, identify plant and animal life at Firehole Canyon Drive, and take some stellar pictures from Lookout Point. To see where to stay, other places to visit, and other tourist information, go to the Yellowstone National Park trip planner . You can do a combination of flight and car from Seattle to Yellowstone National Park in 5.5 hours. Other options are to do a combination of flight, shuttle, and bus; or drive. You'll lose 1 hour traveling from Seattle to Yellowstone National Park due to the time zone difference. Traveling from Seattle in July, expect nights in Yellowstone National Park to be much colder, around 39°F, while days are a bit cooler, around 73°F. Finish your sightseeing early on the 10th (Fri) to allow enough time to travel back home.